A Modern Day Guide to Therapeutic Lifestyle Design and Healing Chronic Stress from the Inside Out! This delicious and deeply nourishing soup has been on a regular rotation at my house. 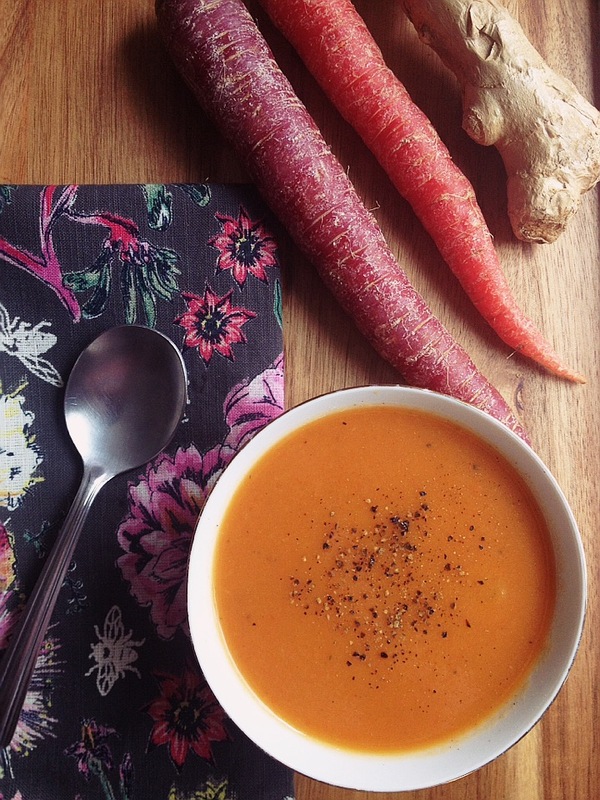 High in vitamins A and C (and also high in antioxidant and anti-inflammatory properties), Carrot and Ginger Soup is not only comforting to eat, but is also a great source of nutrients, especially helpful during cold season. I have experimented with different ways of cooking this soup, including using coconut oil instead of ghee, (which I liked just as much). In addition, you can add a teaspoon of ground turmeric for an even more potent anti-inflammatory punch. Either way, it tastes amazing. Here is the recipe! Use an immersion blender and blend until the soup is smooth. (You can also use a regular blender if you do not have an immersion blender – just allow the soup to cool, then blend in small amounts, and return to the stockpot).